Sounds like Bob was just playing a very mean trick on you, Brian!! I was dreading what was coming as I was reading your story – you built up the suspense so well! 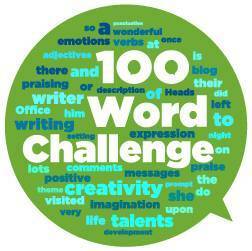 Well done on completing your 100 Word Challenge during the mid term break! Keep up the great writing! Well done on completing the 100 Word Challenge during the Midterm. I think Brian was a good actor. He seemed to have you all fooled! I was glad it was only Brian in the end. Hi Brian. Great story. I laughed when you said Bob ran home ‘like a little girl’, but then at the end it was the boys who ran out of the house when they got a fright. Just shows everybody can get scared. Bob sure played a trick on you! Well done on completing your 100 word challenge during your break. I agree with Avril about boys and girls both getting scared! I would definitely be running away too. Previous Previous post: THE ULTIMATE LEGENDARY CHEESEFROWN CITY!